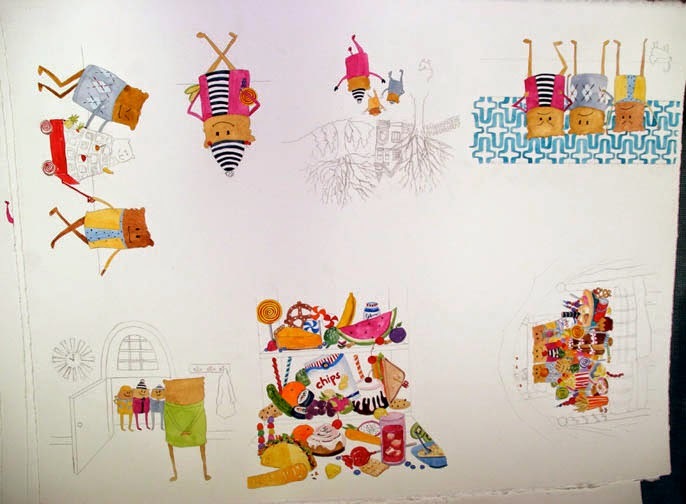 Here is one of my watercolour sheets filled with illustrations I'm working on. I'm having so much fun with this but man, I've got to remember to stretch. When painting on a canvas I am standing in front of an easel using my whole arm. With illustrating I am hunched over a table. Not good for the neck. Gros bisous et prenez soin de votre cou !